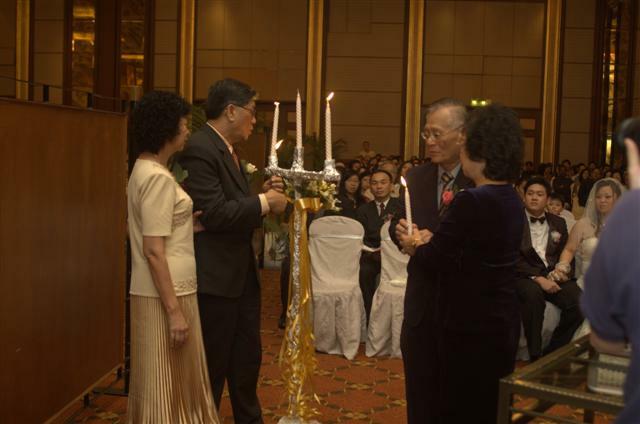 On June 16 2007, Poey Chin and I took our marriage vows in front of God, our relatives and our friends. It was the happiest day of my life. There were smiles on everyone’s faces, and it was a wonderful time of celebrating our love and reunion with family members and friends. Chloe and Claudia our flower girls. Donny, hunky handsome eligible bachelor worship leader. Can also see a bit of Leon on the left and Lionel on the right. 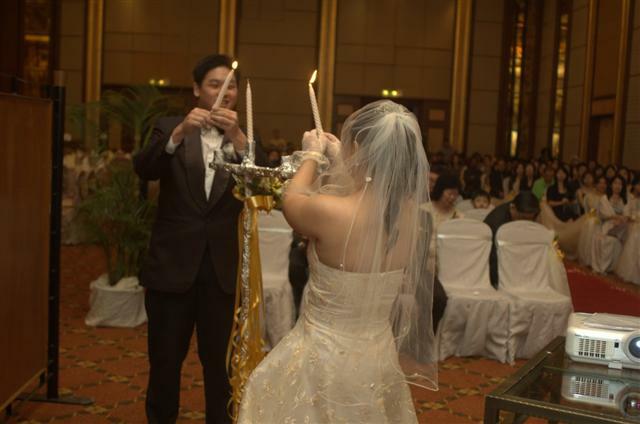 We then used those candles to light our own candle, signifying a new life together. 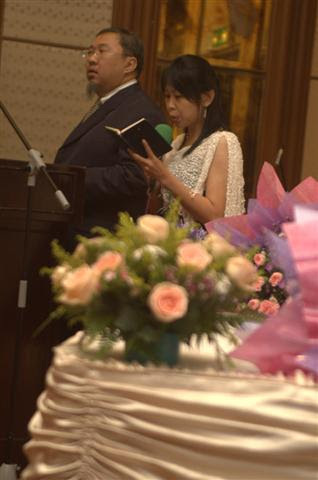 Saying our vows. 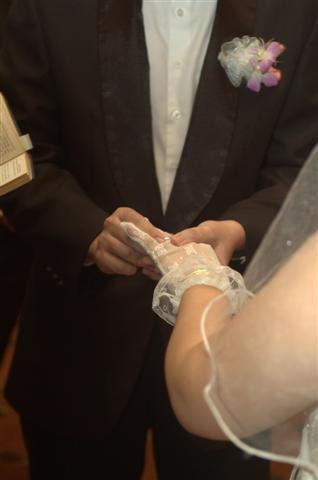 I don’t know why I had to get a pimple on my wedding day. We had to do this in slow motion to allow the photographers to capture the moment. I love you darling. My speech (probably will write about this in another post). I thanked her family for taking care of her, and sharing why I love her. 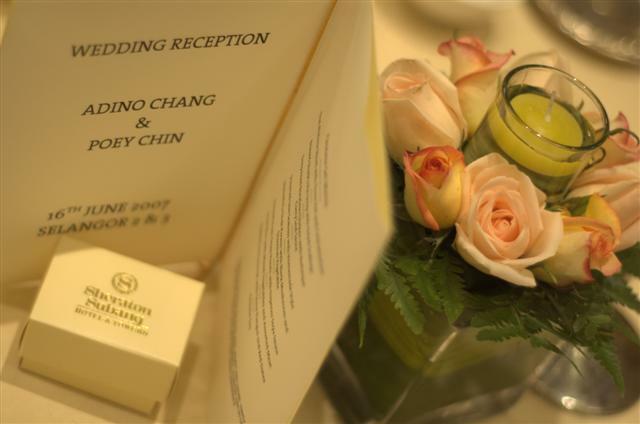 I also reminded everyone that God is preparing a wedding banquet for us (His bride and church), and encouraged everyone to make sure we meet again in that banquet in heaven. That’s it! 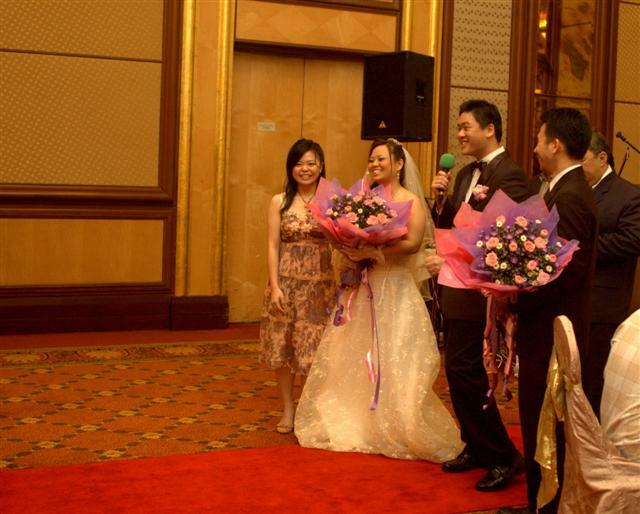 I’ll share photos from the wedding dinner in another post.